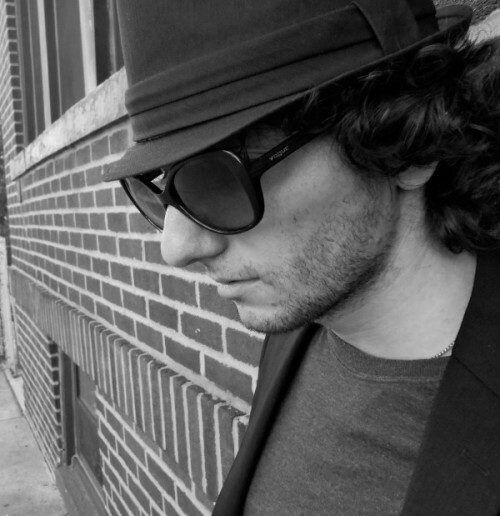 Moon Rocket (real name Raffaele Scoccia), is a Producer/Dj classically trained Composer accomplished Piano and Hammond Organ player based in New York City. He started studying music at an early age with classical music Italian teachers. When he was 16 he met the legendary and eminent composer/pianist Luis Bacalov (Academy Award winner for the Soundtrack of “The Postman” movie) with whom he continued to study classical piano and also started to study harmony and composition. In 2005 MR was awarded with one of the most prestigious Italian national awards, “The Oscar for the Young”, as Best Young composer/musician. in more than one hundred productions. His discography includes almost one hundred singles, featuring such international singers as Michelle Weeks, Ultra Natè, Su Su Bobien, Dawn Tallmann, Carolyn Harding, Lisala Beatty, Marlon Saunders, Barry Alenn, Sageinfinite, Daron Lameek, Marc Bailey, Wolf Prize, Millio, Anda Volley, Princess of Controversy, Cato and his singles were released on many dance labels all over the world, including Season Limited, Purple Music, Soulfuric, Code Red, Deep Sugar, Hed Kandi, BBE, Devotion, Jellybean Soul, Harlum Muziq, Salted Music,Mood Funk Records and they reached the top ten of some of the most prominent dance international charts. One of the most and successful collaboration is with the DJ Producer Angelo Ferreri : Moon Rocket And Angelo Ferreri started to work together in 2017 and they already made two big releases : “Main Piano” and “From Disco to Disco ” , both reached the #1 international Chart on Traxsource and having an high spot visibility on Spotify. They are also producing a live show where Moon Rocket is also playing keyboards live. They will open on Sep 8th 2018 in New York at one of the most illustrious house music club : The Output. -His collaboration with Dj Ruben Mancias from Devotion Records. Their most important project was to write and arrange the music for a remake of Ultra Naté’s “Turn It Up” for the US record label ”Deep Sugar”. -With the well known Italian producers Patrizio Mattei, Danny Omich and Andrea Prezioso from the biggest Italian network Radio Deejay. In 2015 Moon Rocket released is first album entirely produced, arranged and performed in New York entitled “The Way Love Is” with the collaboartion of the arranger Shawn V Lucas and the artistic production of the Legendary New York producer Bobby D’Ambrosio. 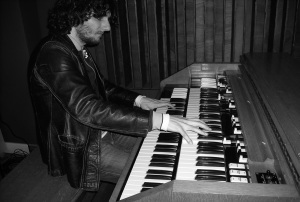 He has also proved to be a exceptionally gifted pianist and hammondist. As a Hammond Player, Moon Rocket is also the leader and founder of the New York trio “Moon Rocket’s Hammond Trio” usually present at the legendary Groove Club in NYC, hosting musicians such as Kenny Lewis on Drums,Tristan Clark on Guitar,Birck Birckhead on Sax,Dean James on Drums. Moon Rocket is the founder of the New York based “Moon Rocket Music” Label and Doomusic Sub-label. He worked at Thompson Studios (Robbie Kostadinovic-B Room) in Soho NYC, Several important artists have worked in this studio, including the band Take 6 when they recorded an arrangement for a Stevie Wonder’s track.